President Chang Soon-heung of Handong Global University. The Hwabaek International Convention Center (HICO) in Gyeongju is the venue of the 66th United Nations Department of Public Information (DPI)/Non-Governmental Organization (NGO) Conference, to be held from May 30 to June 1. Gyeongju, dubbed as the “Kyoto of Korea,” is being thrust into the spotlight of the international community as it plays host to the UN conference. 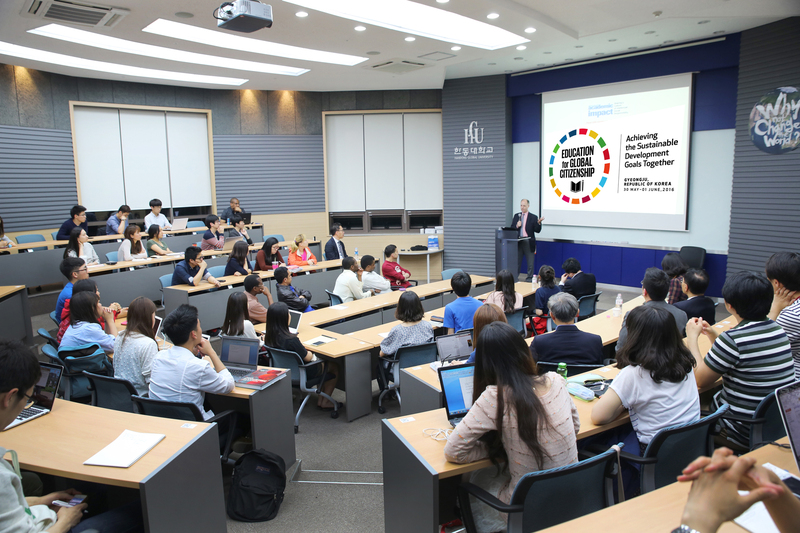 Playing a pivotal role in attracting the Conference to Gyeongju was President Chang Soon-heung of Handong Global University, concurrently co-chairman of the Korean National Committee of the UN DPI/NGO Conference, and alumni of the university. The venue of the UN Conference was supposed to be Seoul, since U.N. Secretary General Ban Ki-moon expressed his wishes to go there to participate in the event. President Chang said his university and alumni joined forces in attracting the conference to Geyongju. A UN fact-finding team who made an observation tour to HICO, the venue of the event, and accommodations and other amenities, presented an “excellent” assessment to the UN Secretariat, President Chang said. Gyeongju, the ancient capital of United Silla, the first united nation on the Korean Peninsula, boasts of rich cultural heritage as well as convenient amenities, including hotels, and a 15-minute drive to East Sea, he said. The Conference will be held under the theme “Education for Global Citizenship: Achieving the Sustainable Development Goals Together.” It will be the first time for the DPI/NGO Conference to be held in Asia. The conference takes on significance as it takes place in the first year of the Sustainable Development Goals (SDGs), adopted by United Nations (UN) Member States in September 2015 to end poverty, protect the planet, and ensure human rights and prosperous and fulfilling lives for all, as part of a new sustainable development agenda to be achieved by 2030. It also takes place in the wake of the United Nations Framework Convention on Climate Change (UNFCCC) 21st Conference of Parties (COP) parties agreeing on the Post-2020 Climate Change Regime in December 2015 under the stewardship of U.N. Secretary-General Ban, he said. The Conference will have a special session to share Korea's economic strides, he said. Handong Global University was established in 1995 with the vision “Why Not Change the World.” At the time, an era of “informatization” came in with the commercialization of the Internet and economically, a global economic regime was accelerated with the effectuation of the World Trade Organization regime. President Chang said the university introduced innovative curricula tailored to meet the needs and changes of the times, and education on personalities as global citizens. Currently, the university has 12 departments, including Global Leadership School; International Studies; Languages and Literatures; Management and Economics; Law; Counseling Psychology and Social Welfare; Communication Arts and Science; Spatial Environment System Engineering; Mechanical and Control Engineering; Contents Convergence Design; Life Science; Computer Science and Electrical Engineering; and Global Edison Academy (GEA). It has an enrollment of approximately 3,900 undergraduate students and 400 graduate students. Handong Global University proposed to the Education Ministry a balance between research and education, a departure from government support on research-oriented universities. This has led to the introduction of the “ACE Project” designed to designate universities deserved for good teaching that has brought to a new regime of competition for education among universities. 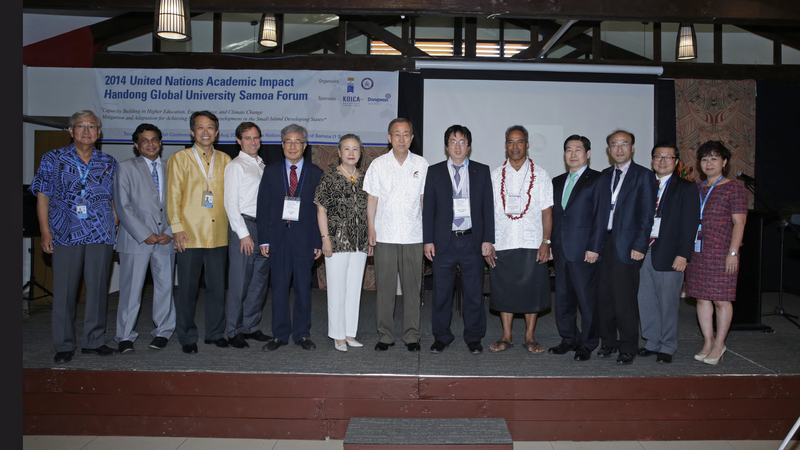 In 2010, the ACE Project was designed to expand the education ministry’s financial support from a focus on research-oriented universities to education-oriented ones. Handong Global University attaches top priority to three university missions—education, research and service. At that time, the university stressed the importance of undergraduate school education tailored to meet companies’ needs. The ACE Project served as an opportunity to shift the government support on research-oriented paradigm to a balance between research and education. The university’s Global Engagement & Mobilization (GEM) project won a top prize practice in the 2012 ACE Project Contest organized by the Korea Council for University Education. True to the “Giving Talents for Others” spirit and the vision “Why not Change the World,” Handong Global University carries out diverse volunteering activities on campus and off. Starting with clubs’ volunteering programs in the begging of each year, such projects as social contribution curricula involving 2,000 undergraduates, the “Miraculous 100,000 won Project,” a homegrown team/profess-in-charge program, and the “Global Life Project” follow suit. The GEM Projects for undergraduate students have been performed in the pursuit of both learning opportunities and volunteering activities designed to address the real issues of nations around the world, a departure from limitation concerning non-curriculum activities. For the past two years, the university undertook 29 GEM projects in 14 areas in 10 Asian and African countries. The university operates teams, each consisting of a professor-in-charge and 30 team members from freshmen and senior undergraduates with different majors. Team members undergo commune spirit respecting each other and leadership through one-year board life, team meetings and community leadership training programs (six credits on six academic years). Handong Global University adopts an honor system to nurture student into honest and sincere talents. 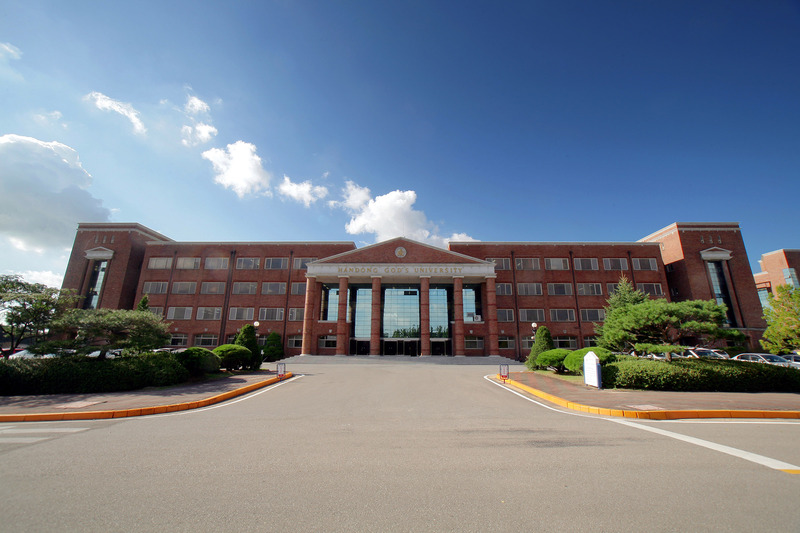 HGU freshmen are admitted without selecting a department regardless of college, and they undergo basic quality education after belonging to the Global Leadership School. HGU is famous for education in multiple disciplines for educating problem solvers and the adoption of team-teaching and project-based teaching methods. The university starts with key curricula being taught in English only. It is designed not only to imbue students with language and communication capabilities as global citizens, but also to train them about etiquette as global citizens and global minds. HGU has also become the first Korean university to introduce a flexible semester system in which students are allowed to get up to 12 credits when they are engaged in self-initiated tasks at companies, institutions, and overseas universities instead of regular curricula. 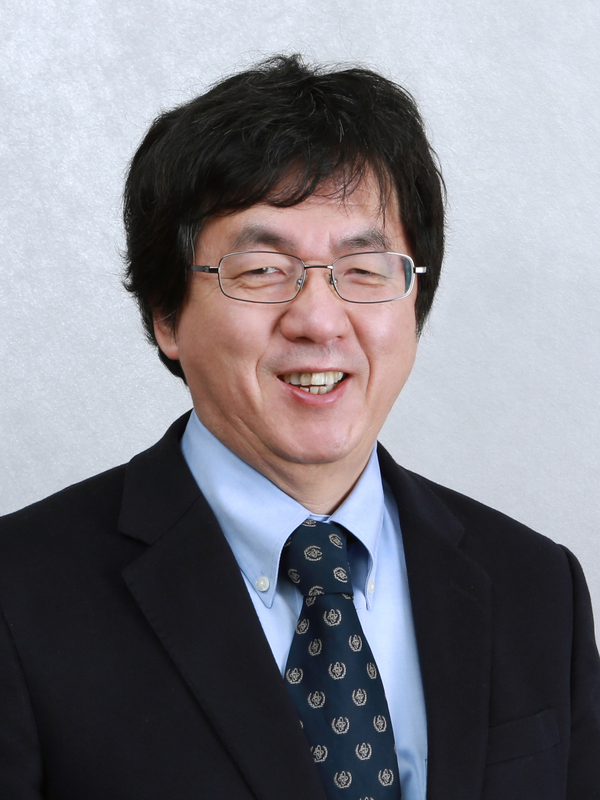 HGU President Chang is a globally claimed authority in nuclear power. Chang, former KAIST vice president, serves as chairman of the Advisory Committee on Nuclear Safety and Security at the Nuclear Safety and Security Commission. President Chang was once invited by Bill Gates, who wanted to know why Korea has the cheapest electricity rates among OECD member countries, which Chang said has contributed to Korea’s economic progress. Nuclear power has served as a driving force behind the nation’s economic development, and countries around the world need to make the most of it under the Post-2020 climate change regime. Korea, which has achieved nuclear power technology self-sufficiency to export the technology to the United Arab Emirates, needs to be more aggressive in diplomacy and projecting financing in exploring more overseas nuclear power markets, he said.